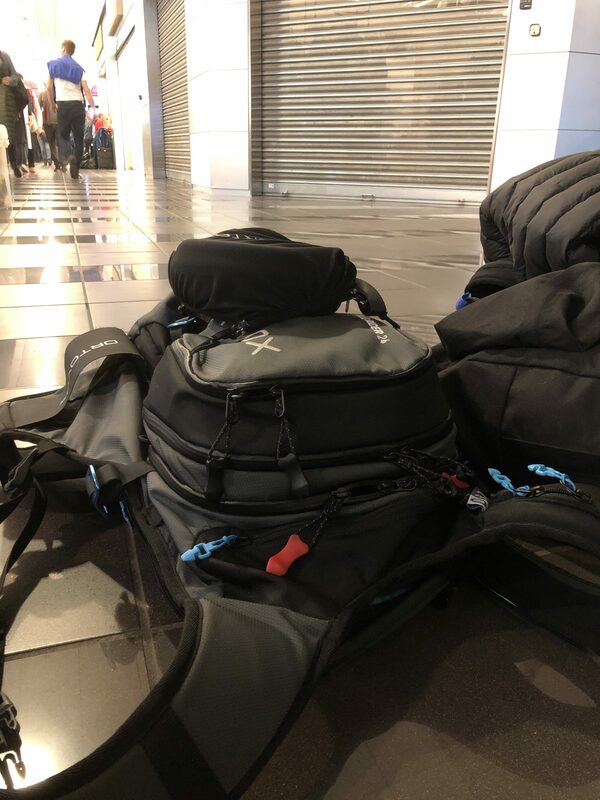 "Very poor and not that safe"
Not Verified | Very swift through check in and security was fairly smooth with around a 10 minute wait so positive in these areas. However, the departure lounge facilities are woefully inadequate with twice a many people in the area than it was fit to hold. There were a many people sitting / lying on the floor as there were able to get seats to sit on. Only a handful of restaurants which were bursting full with queues running out into the corridors. People seemed to be waiting up to an hour just to get an order taken. Other than the duty free shop, there was little else available, only a small WH Smith WH very limited food options and huge queues. If they want to have this many passengers, they need to make the facilities available for them. Very poor and not that safe. ✅ Trip Verified | Avoid if you can! First of all it took about 45 minutes to check in. It was only about 20 people ahead of us. Security was actually quite good! But after that it was horrible, nowhere to sit, we sat on the floor (family of 5). Impossible to get a table at any restaurant and of course a delayed flight. How can they not have anywhere to sit for the people they let through? I have never experienced anything similar to this and I’ve been to Grenoble airport which I thought was bad. They better do improvements or they’re going to lose more customers than me! 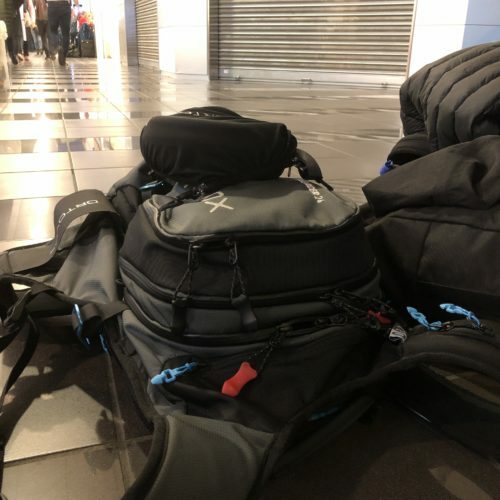 "few food and drink outlets"
Not Verified | The initial impressions of departures were quite good, drop off being right next to the passenger entrances, the large number of check-in desks all centred around a baggage conveyor, using the available floor space to the max. And even security seemed well organised, with fairly thorough checks but at reasonable speed. However, things went rapidly downhill on the air side of the terminal. Toilet signage was practically non-existant. There were very few food and drink outlets for a large airport, and consequently all had massive queues waiting for service (even though it was a Sunday). The seating was totally inadequate. And if you went thru passport control to the gates in search of toilets and more food/drink outlets you’d be disappointed. Incredibly there were none at all. Airport wifi seemed impossible to log into. On the plus side there were no endless corridors to walk down to get to the gates and the airport was clean. "looks new but it is clearly mismanaged"
✅ Verified Review | Turin Airport looks new but it is clearly mismanaged. The problem, as is usually the case in Italy, starts at the top and continues all the way down to those who are supposed to clean the toilets. Staff at security simply look unprofessional and are busy chatting with each other. At the cafe in the Center of the Airport there were 5 staff chatting with each other or on the phone while my wife waited in the queue for a cappuccino. The worst is boarding - Passengers are checked for boarding in up to 20 minutes before they can actually board the flight. After going through boarding, passengers do not actually board but they have to walk down two flights of stairs carrying their hand luggage and then they wait outside for up to 20 minutes. Next, passengers walk up the steps carrying their 10 kilo hand luggage to board the plane. Meanwhile the brand new walkways that can take passengers directly from the terminal into the plane (avoiding walking down and up stairs and waiting outside) are idle. I have been to Torino 4 times since September and the walkways have never been used! People talk about the difference between the North and South in Italy however I see the same incompetence from North to South. Italy has one if the World's most significan historic and cultural heritages but the culture of incompetence permeates Italy. "seating for passengers is completely inadequate"
✅ Verified Review | Seating for passengers at departure gates is completely inadequate. Staff are not interested in feedback from passengers, and were dismissive of the situation. They are doing us a favour by letting us use their airport. There is plenty of room to sit on the floor! So why not put some more seating in? I have been at this airport many times. Yes they have new duty free shops but it amazed me every time to see how disorganised this airport is. Toilets are very dirty. Only a few toilets in the whole airport. Cafes are expensive, even for a bottle of water the fee is ridiculous. Staff are rude and arrogant. Every time I go through security I witness arguments due to the poor attitude of the staff. If you need to get a flight to the UK once you go through another passport control you find absolutely nothing: no toilet, no café, no shops. There are not enough seats for passengers waiting to board at the gate, air conditioning was almost non-existent and it was hot and muddy. No information, no staff to ask about the flight. At the gate staff didn't call passengers in the right order so the result was: a lot of discussions and arguments between passengers. When you arrive if you need to collect your baggage get yourself prepared, you can wait for hours. Wi-Fi connection is another joke: it's free but they ask for your credit card details. This is classified as international airport, it's not, it's a joke. Nice and clean airport. It's been improved a lot lately and now it features a new duty-free shop, a baby lounge and many other interesting shops. Furthermore it's a well-mantained terminal with an amaing view of the apron. I like that it's not crowded, almost without queuing time and that makes a pleasure flying from Turin airport. Also the waiting time for baggage claim has been reduced significantly. Hope you enjoy this airport as I do. A word of warning about this airport! The baggage collection is one of the worst I have ever encountered! I was there last week and waited almost as long as my flight from Glasgow to collect my baggage! They also like to 'mix n match' the baggage on each carousel with different flights just to make it really interesting! Use this airport about 4 times a year it is very small with very limited facilities more a region airport than an international. Everything works as it should but nothing excels. Very good and functional airport not too far from the town centre easy to find. The personnel of ground services is in general very good.